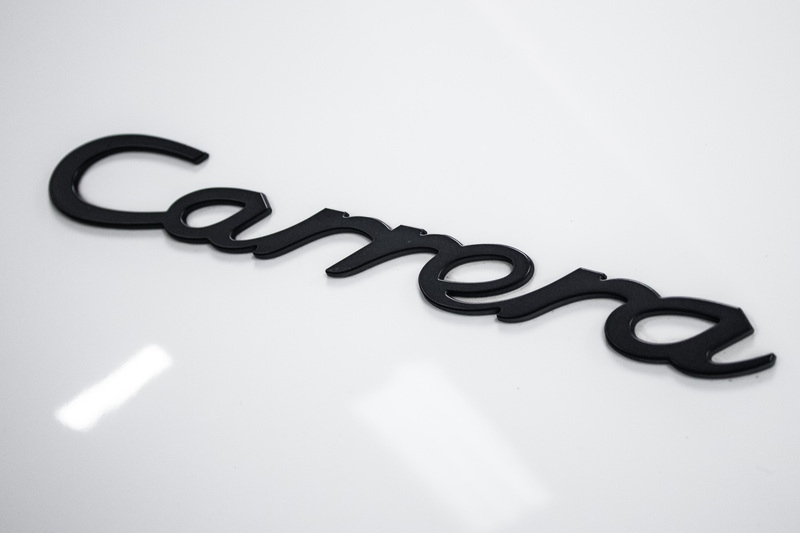 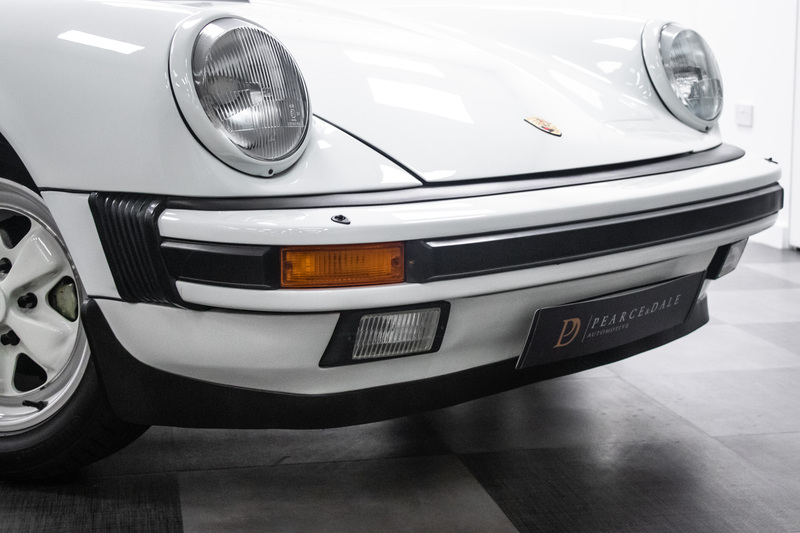 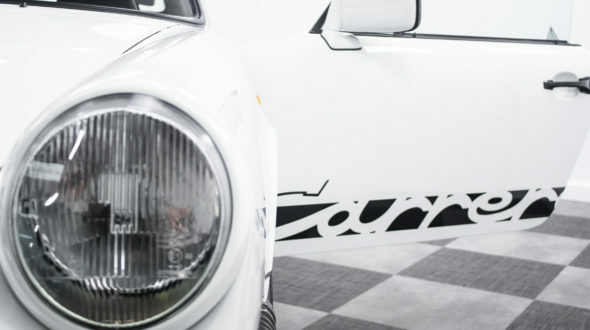 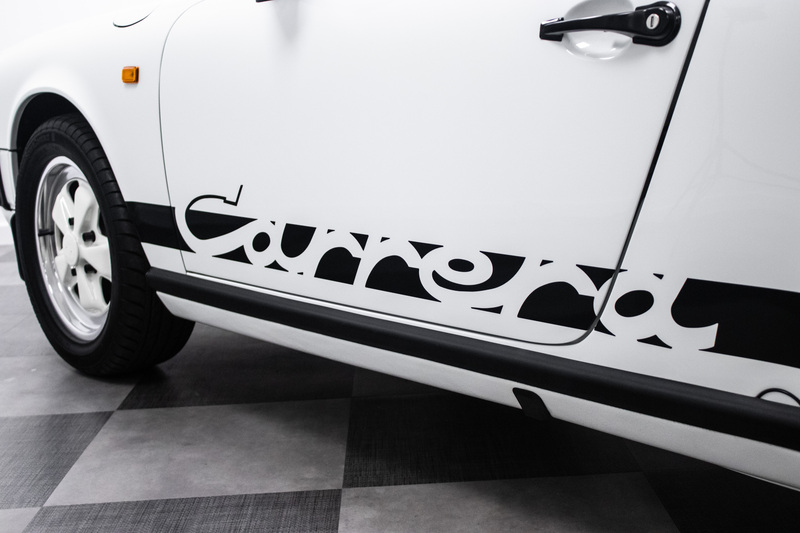 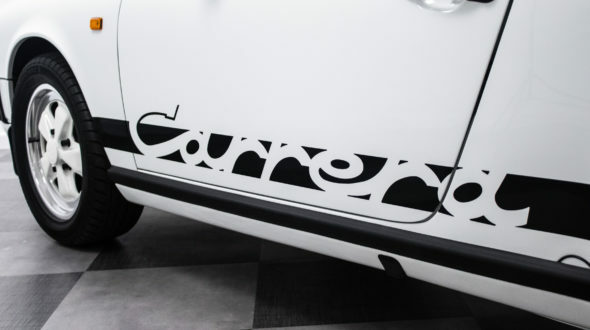 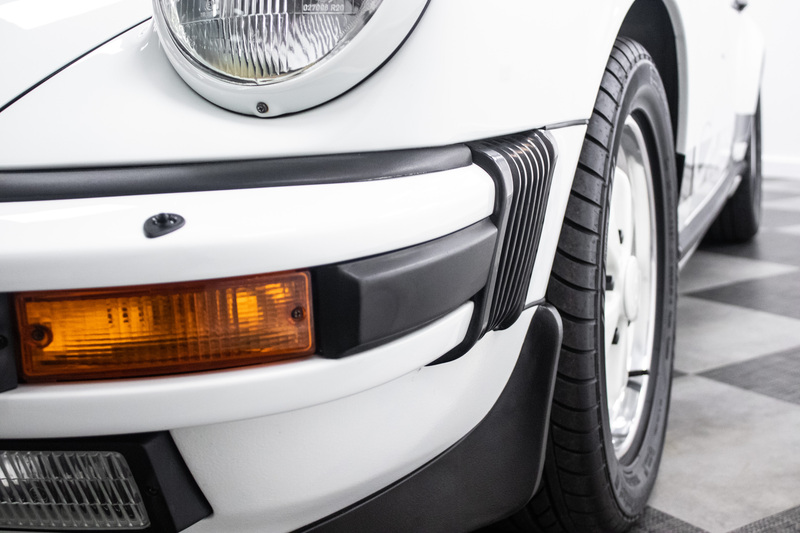 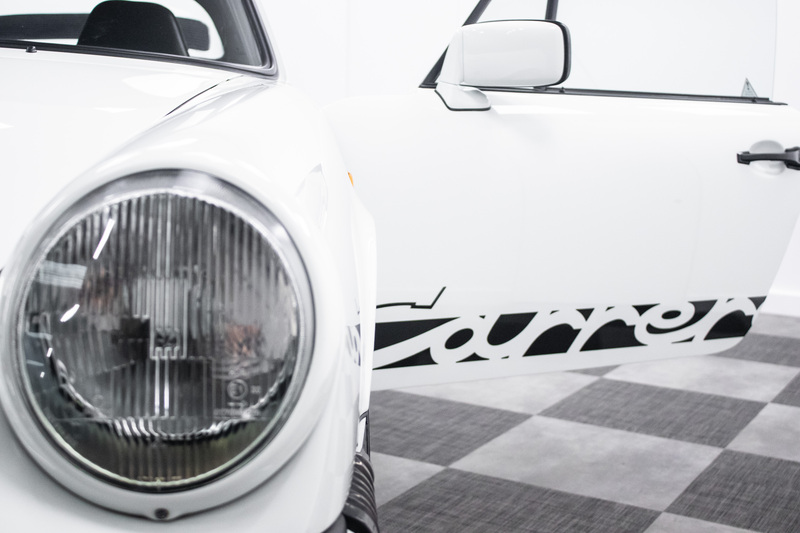 The replacement for the SC series came in 1984 as the 911 3.2 Carrera, reviving the Carrera name for the first time since 1977. 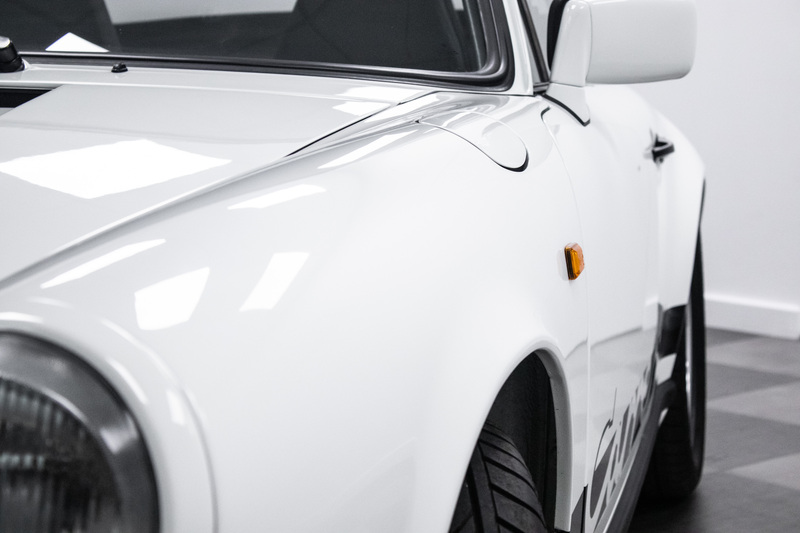 This was the last iteration in the original 911 series. 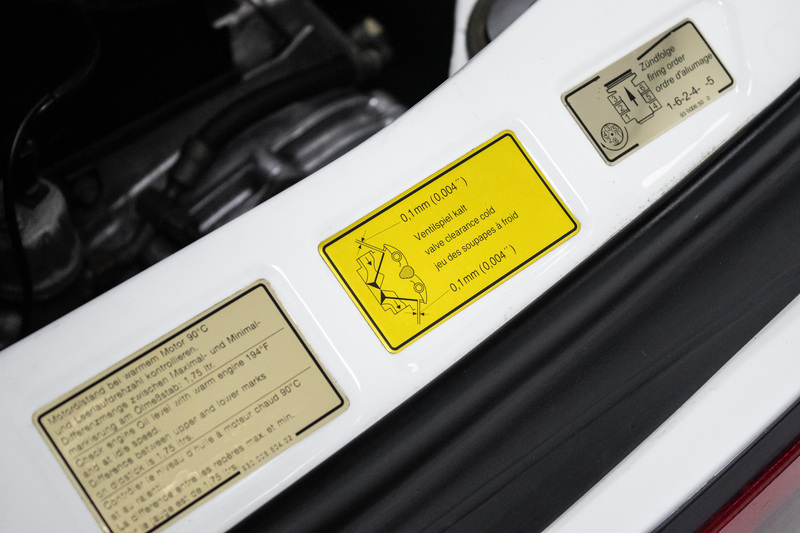 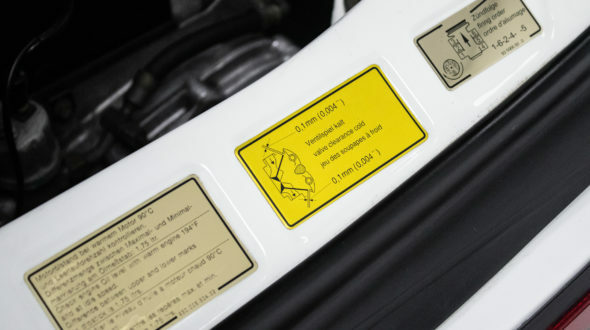 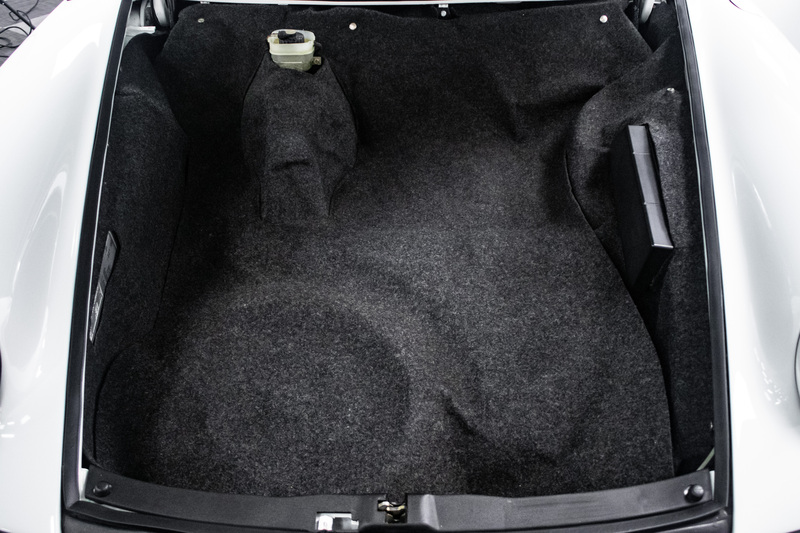 A new higher-displacement motor, a 3.2-litre horizontally opposed flat 6-cylinder, was used. 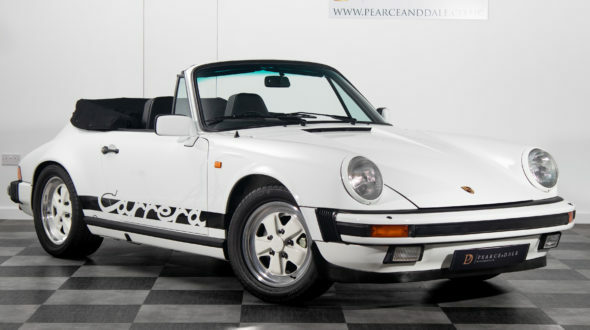 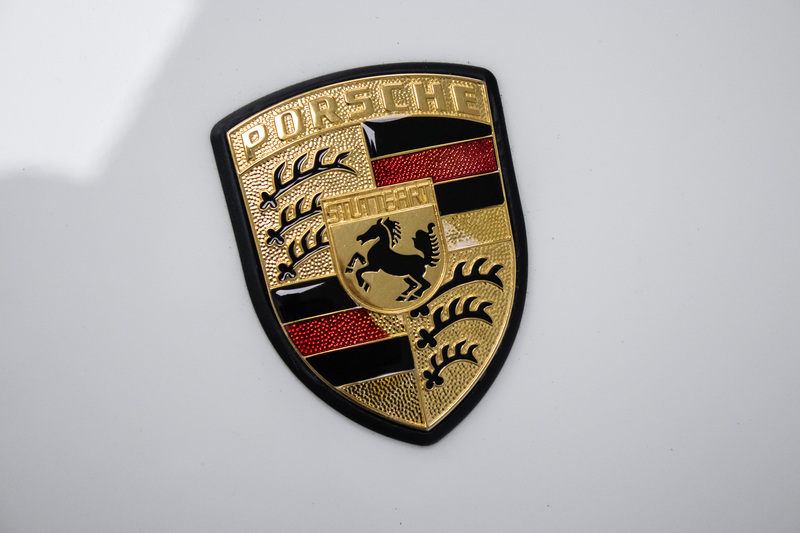 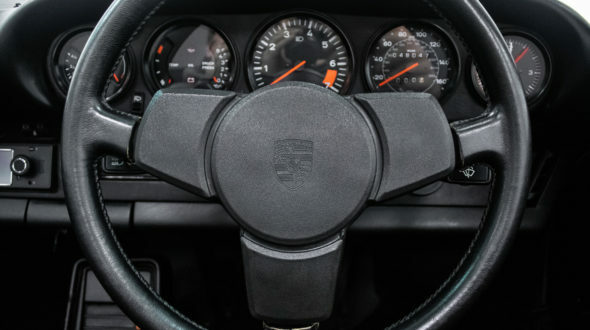 At the time Porsche claimed it was 80% new. 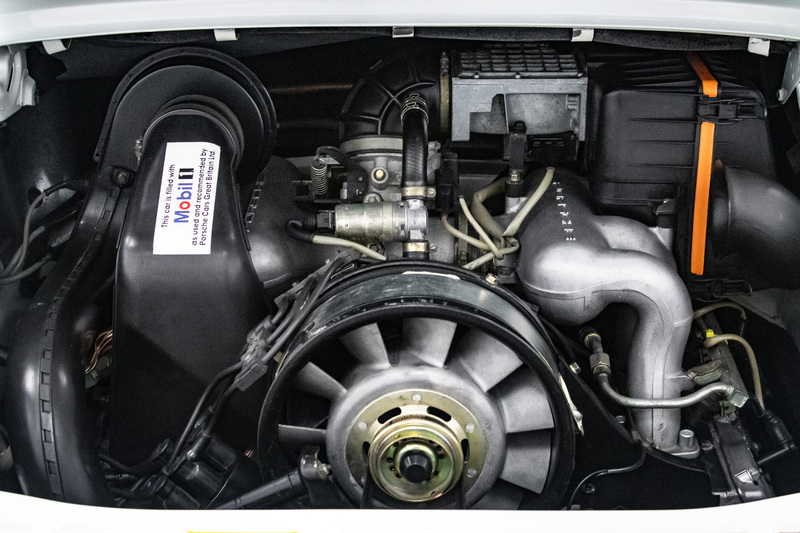 The new swept volume of 3164 cc was achieved using the 95 mm (3.7 in) bore (from the previous SC model) combined with the 1978 Turbo 3.3 crankshaft’s 74.4 mm (2.9 in) stroke. 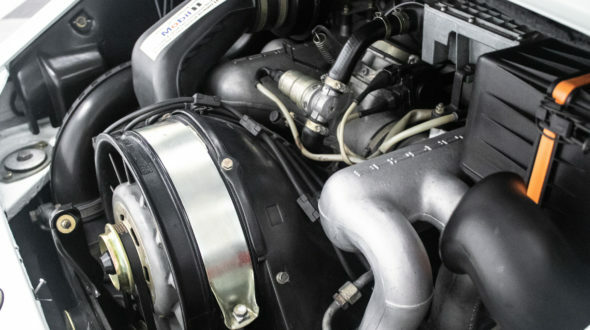 In addition, higher domed pistons increased the compression ratio from 9.8 to 10.3:1. 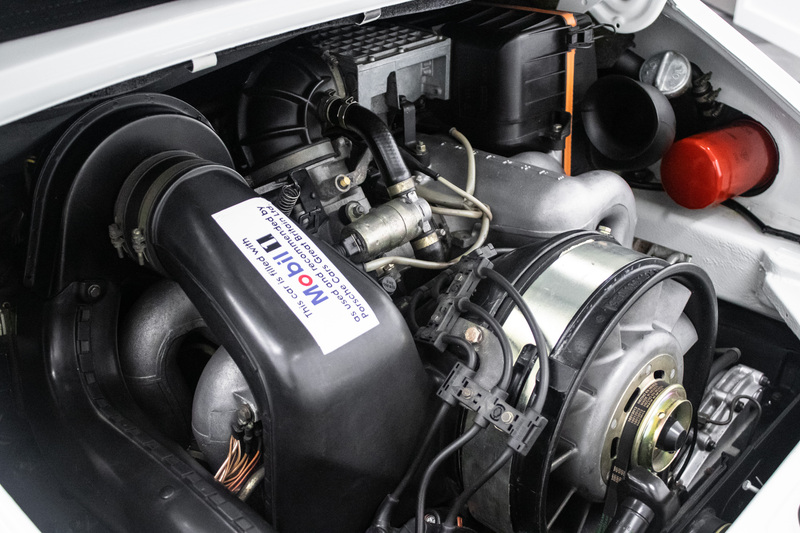 New inlet manifold and exhaust systems were fitted. 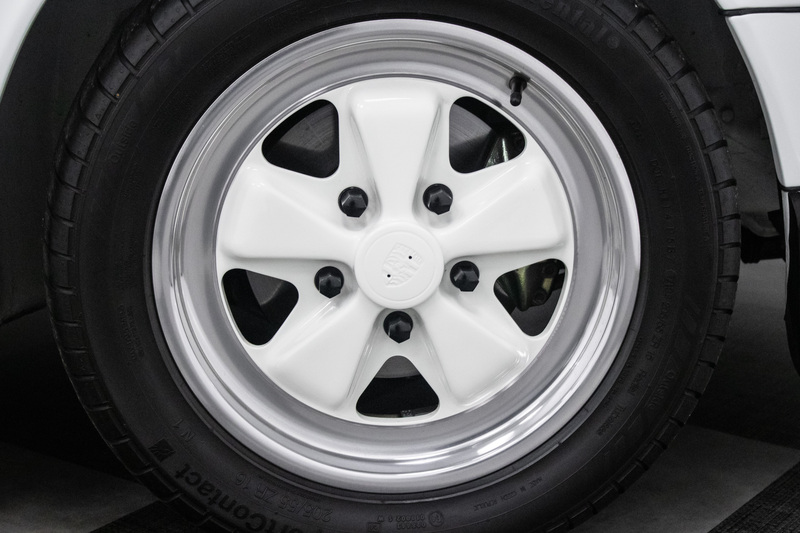 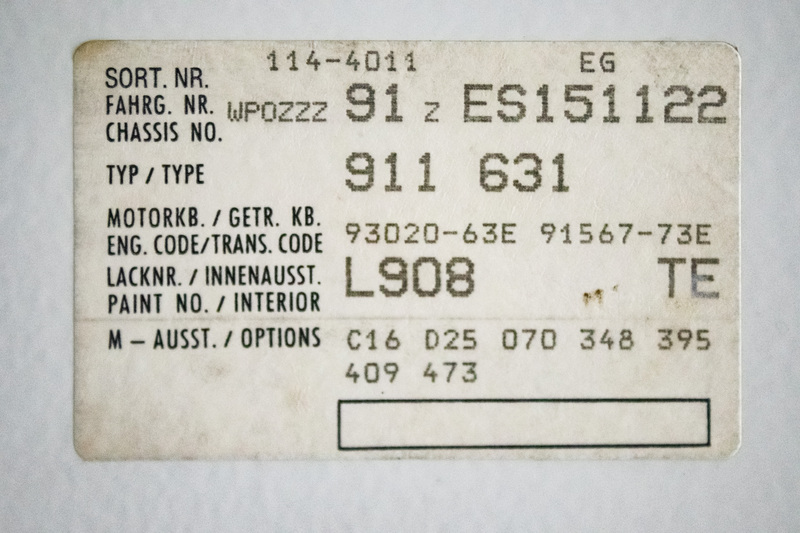 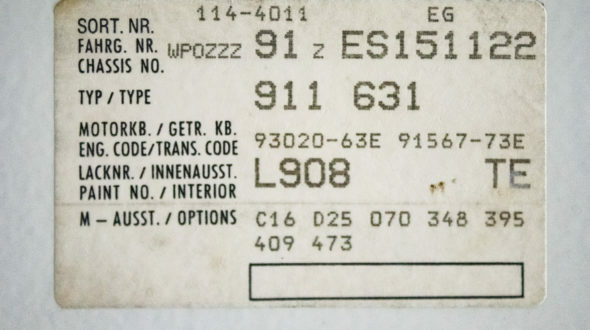 The 915 transmission was carried over from the SC series. 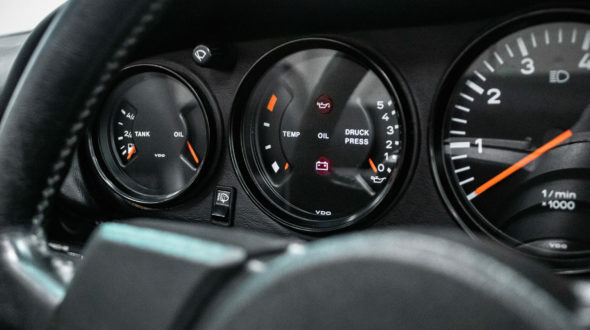 With the new engine, power was increased to 231 bhp at 5900 rpm. 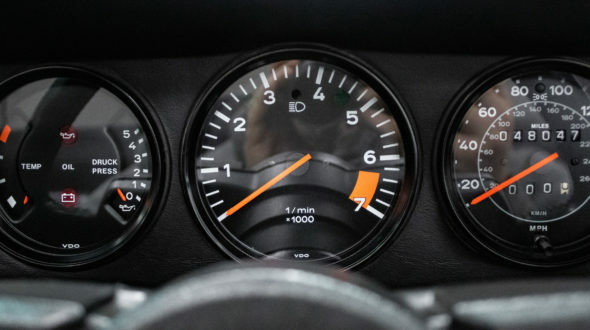 This version of the 911 accelerated 0–60 mph in 5.4 seconds and had a top speed of 150 mph as measured by Autocar Magazine. 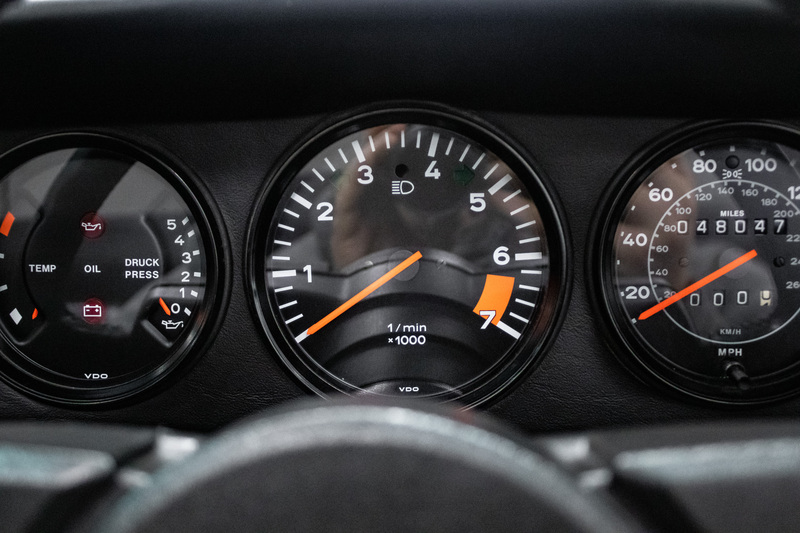 Factory times were more modest: 0–60 mph time of 6.1 seconds. 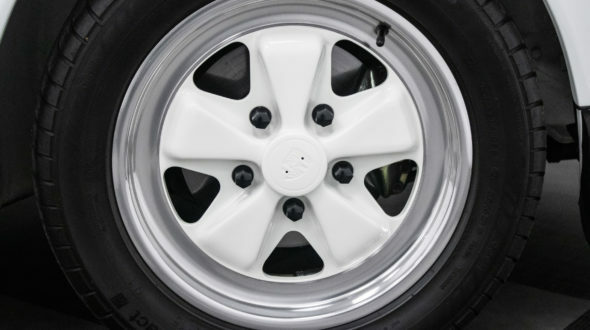 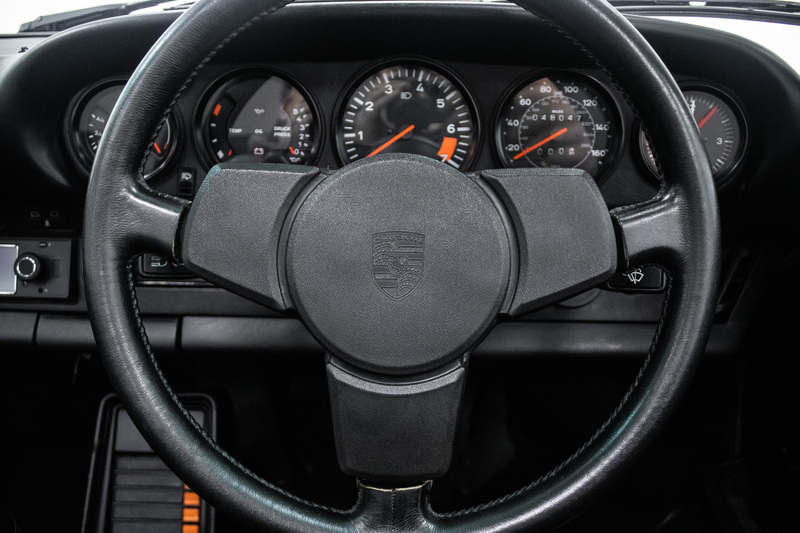 The brake discs were increased in size to aid in more effective heat dissipation and improved oil-fed chain tensioners were fitted to the engine. 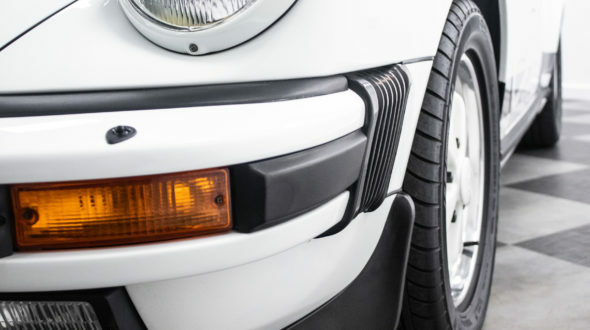 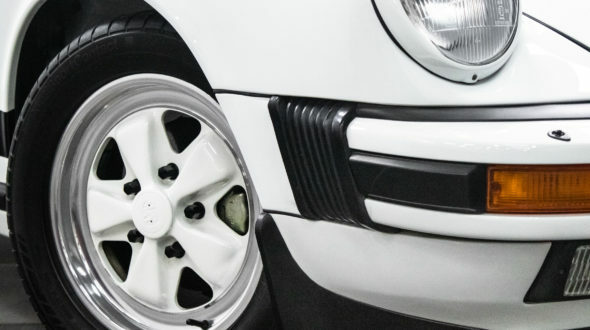 To improve oil cooling, a finned cooler replaced the serpentine lines in the front passenger fender well. 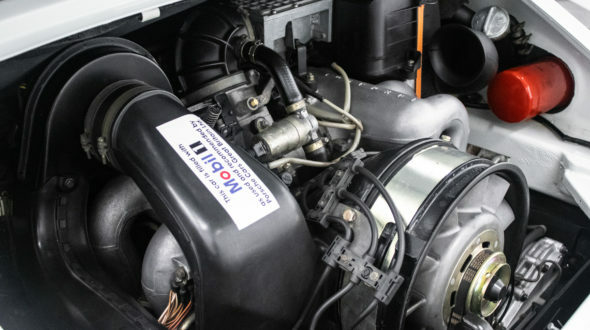 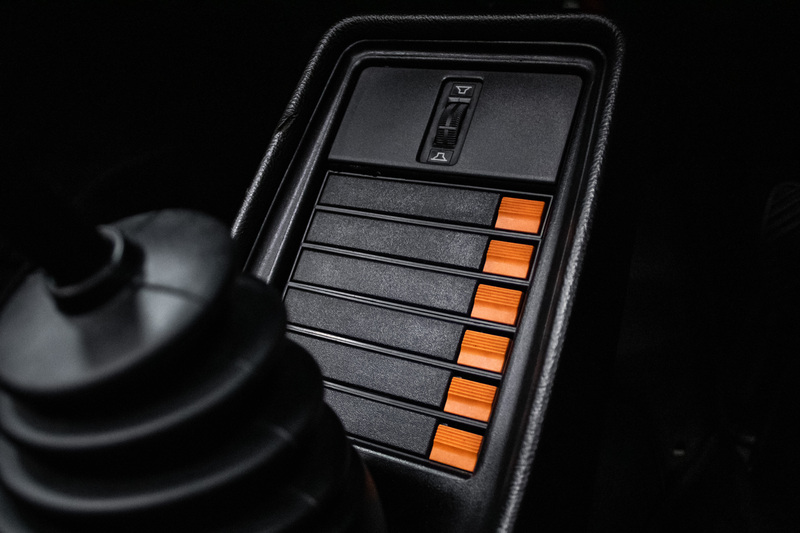 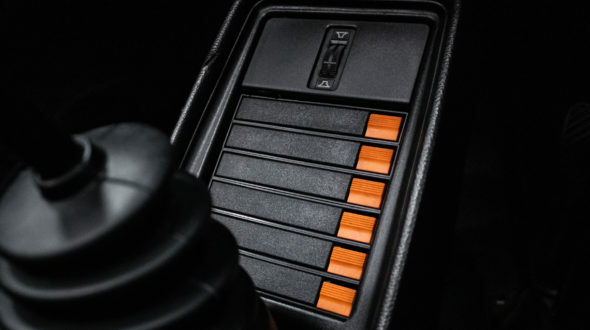 Driving refinement and motor reliability were improved with an upgrade of the fuel and ignition control components to L-Jetronic with Bosch Motronics 2 DME (Digital Motor Electronics system). 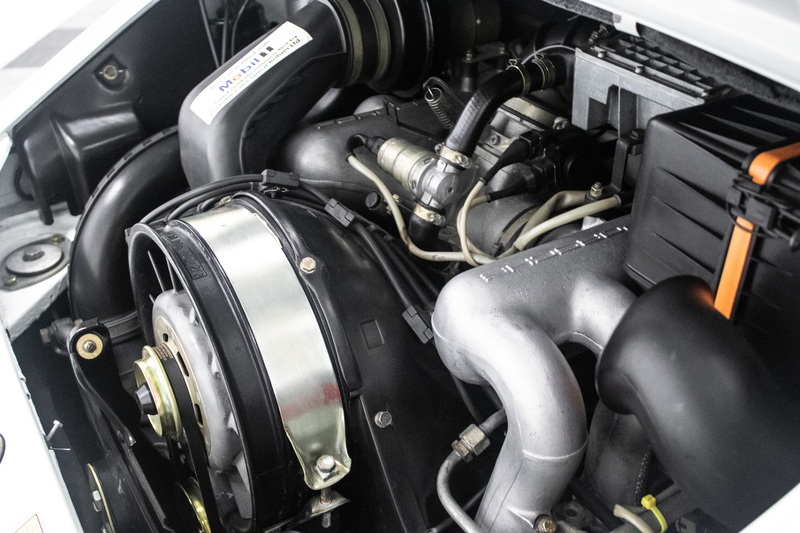 An improvement in fuel-efficiency was due to the DME providing a petrol cut-off on the overrun. 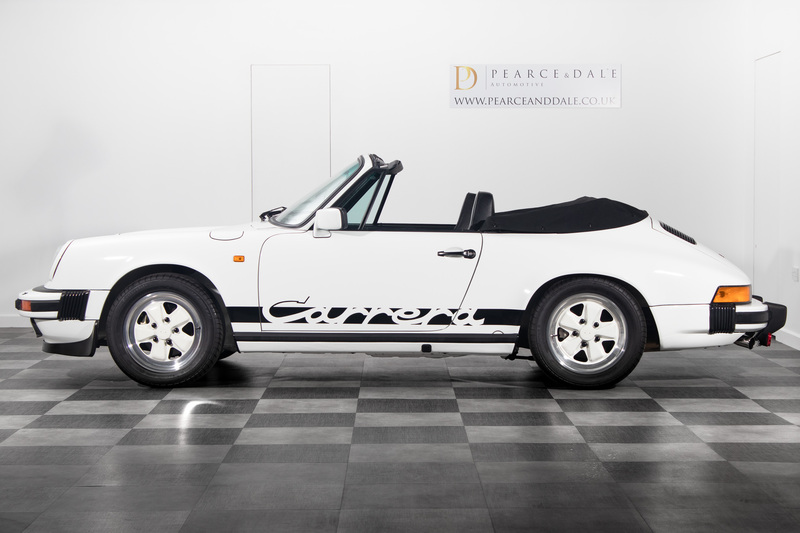 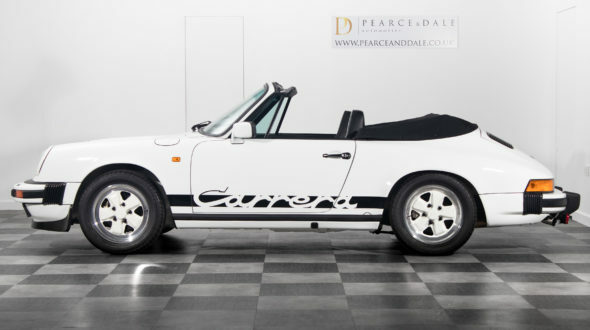 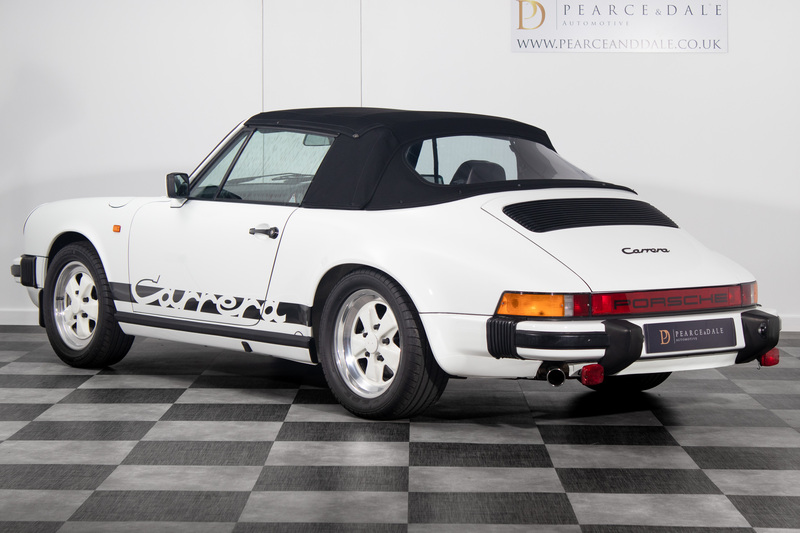 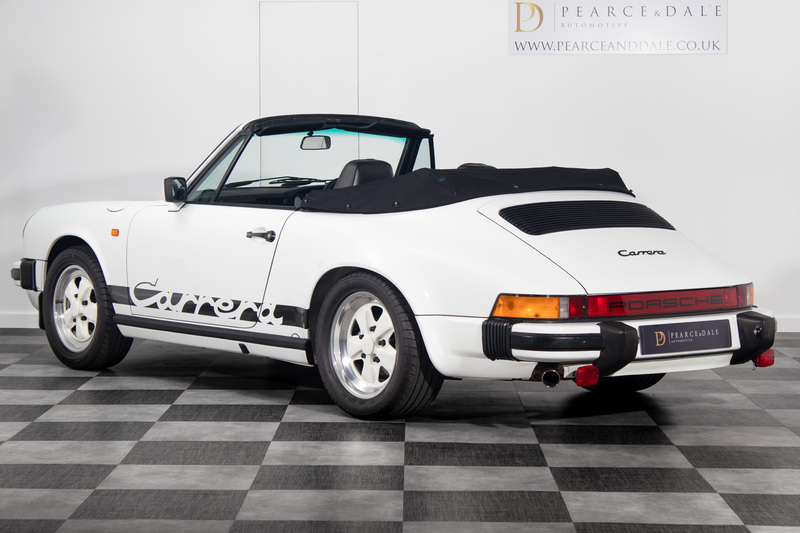 This sensational 911 3.2 Carrera Cabriolet has led a very sheltered life, with a verifiable 48,047 Miles from new, this particular car was treated, between 2013 and 2014, to a restoration by Porsche Centre Silverstone as part of the Dealer Networks Restoration Competition for that year. 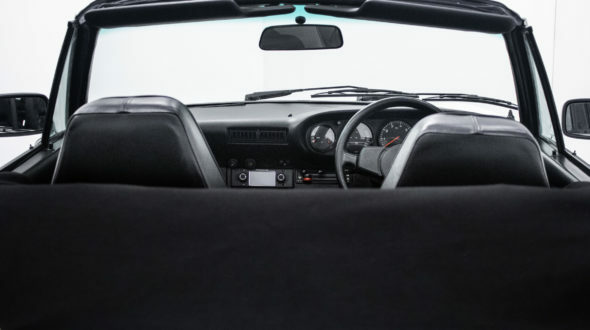 Finding a very honest, original, low mileage car to base their restoration on, this vehicle was found residing on the Isle Of Wight, in the previous 15 years the vehicle had covered less than 3,000 miles. 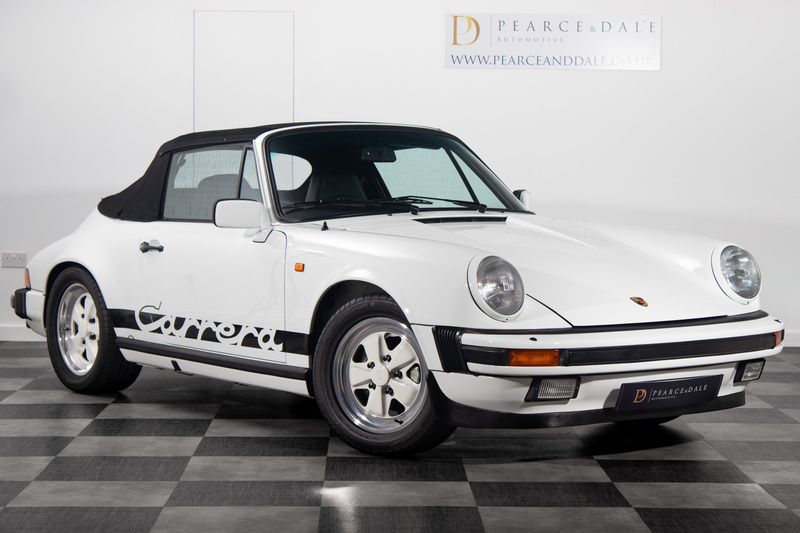 Presented in lovely original condition, but with such little use for a long period, it needed a gearbox rebuild due to a failed second gear synchro – so it was chosen for the project given it included a lovely history including MOT certificates dating back to 1988, its original service and handbook pack with wallet and numerous invoices and related paperwork. 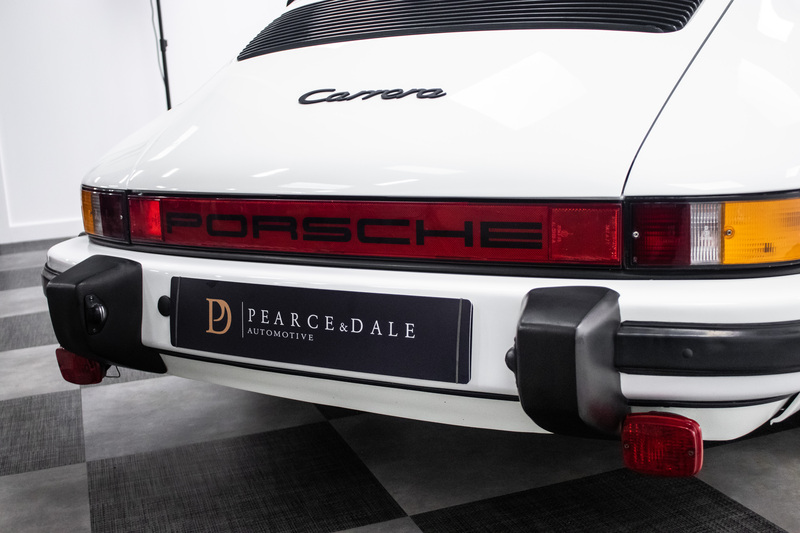 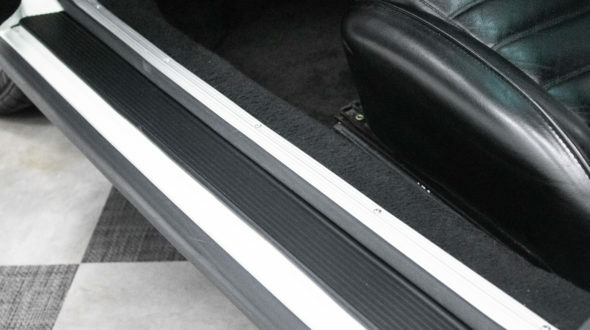 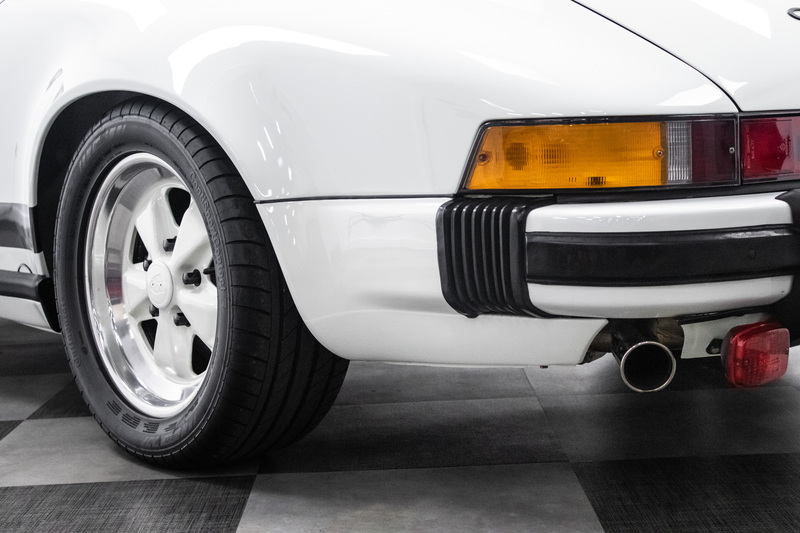 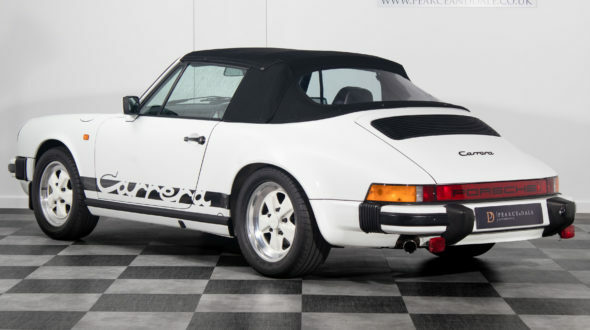 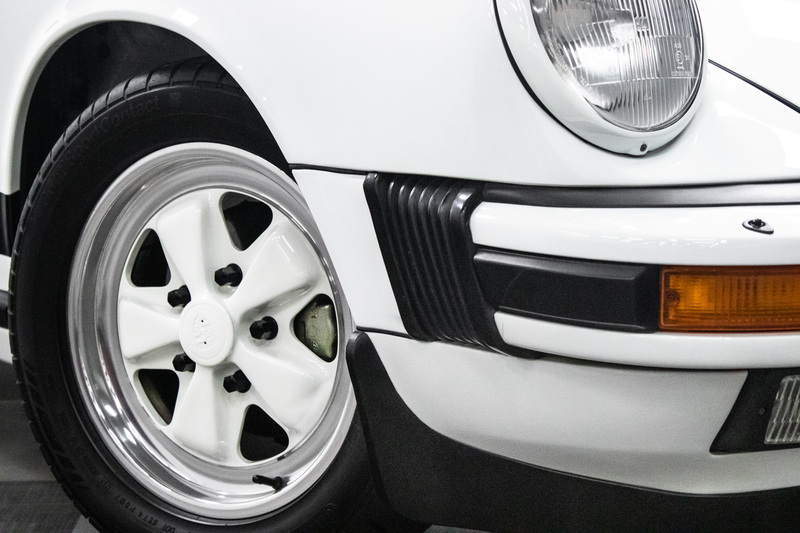 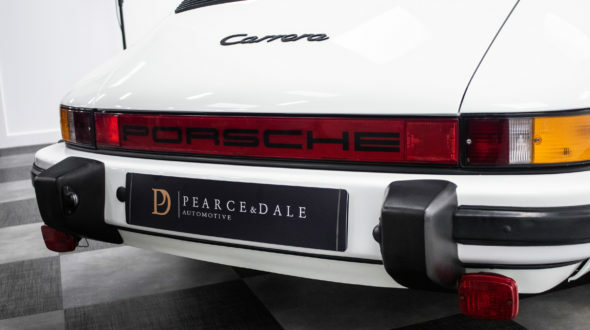 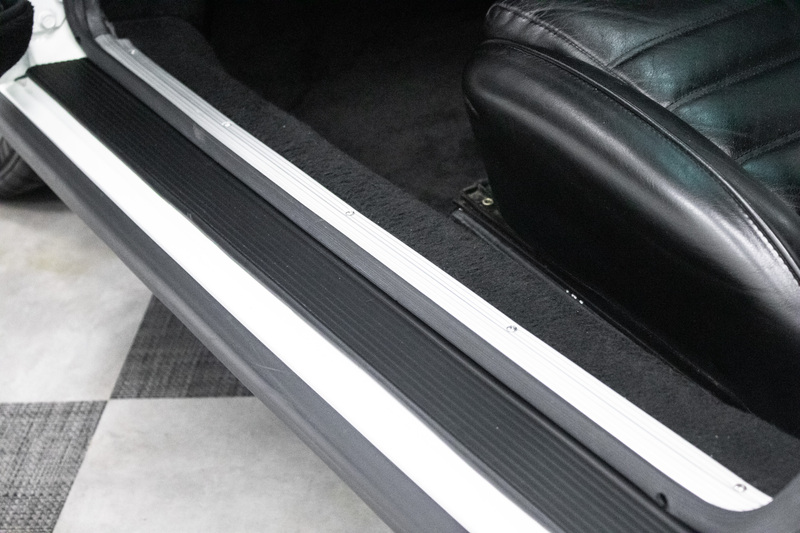 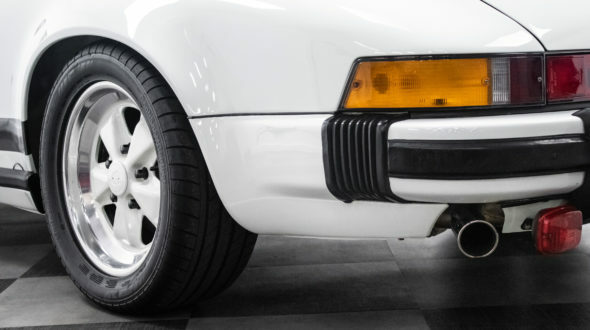 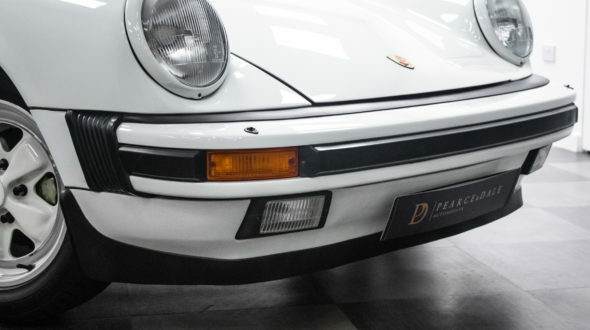 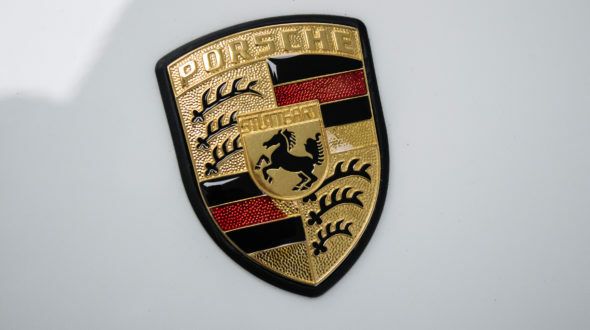 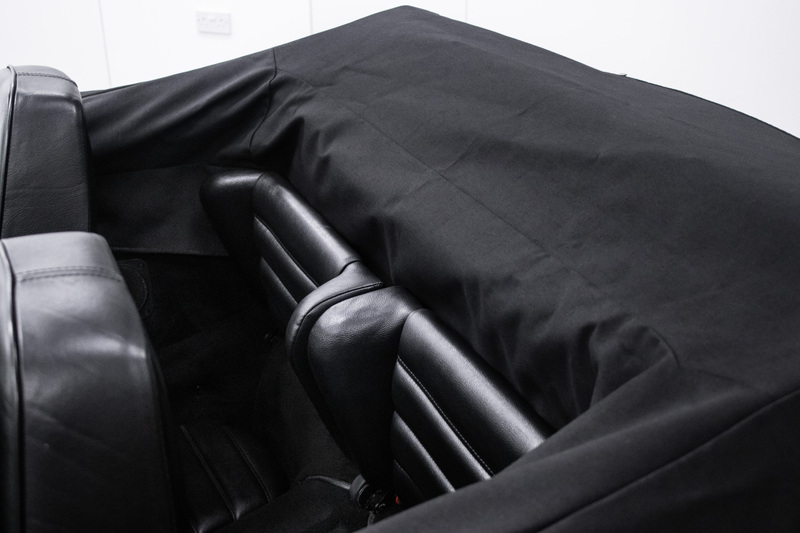 In excess of £40,000 was spent on the restoration which included rebuilding the gearbox, repairing only 2 small sections of corrosion on the nearside sill and around the offside headlamp, then fully repainting the vehicle by their Porsche Approved Bodyshop to an outstanding standard and replacement of almost every renewable part with original, new Porsche items including a new hood and right down to virtually every nut, bolt, screw and hose. 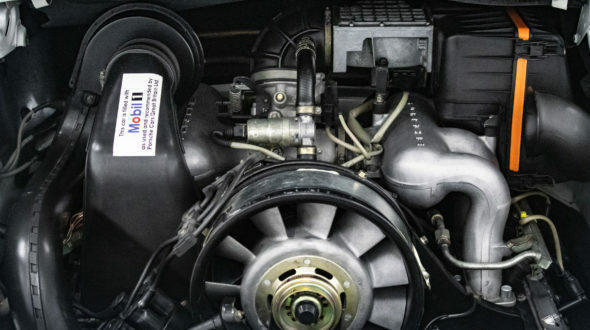 Having covered only 47,000 miles at the time, the engine was taken out and the heads removed to confirm no engine work was required, then rebuilt with new fittings and hoses. 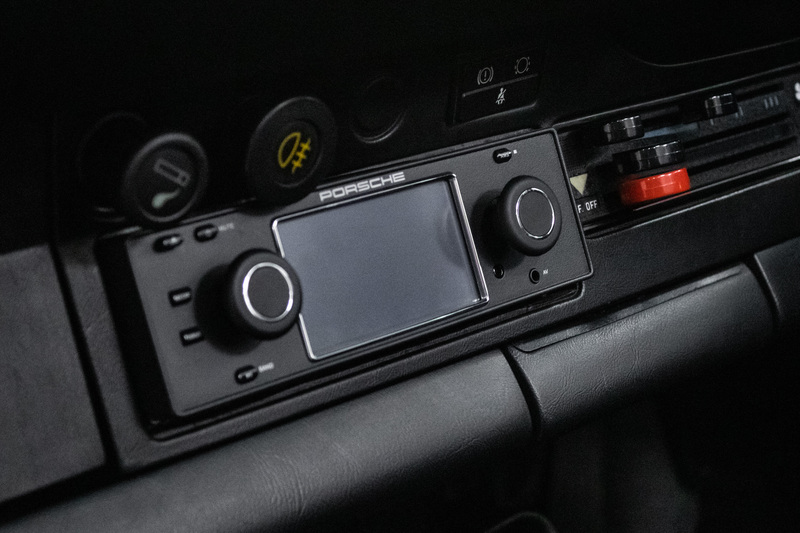 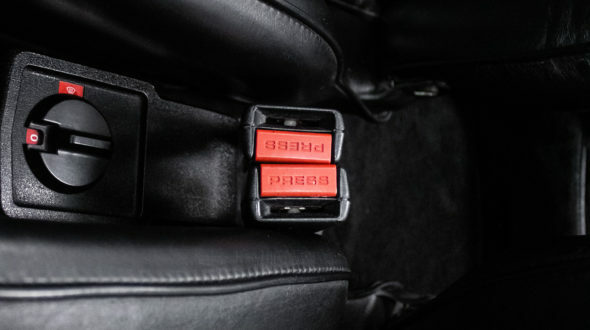 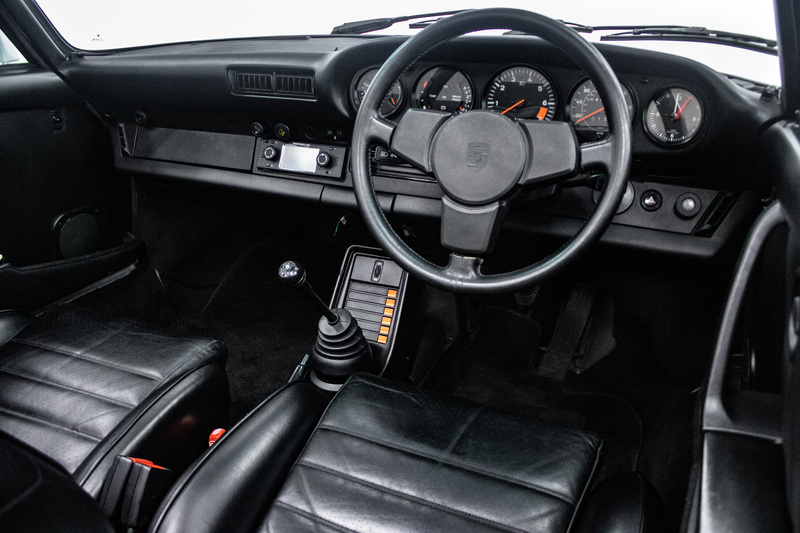 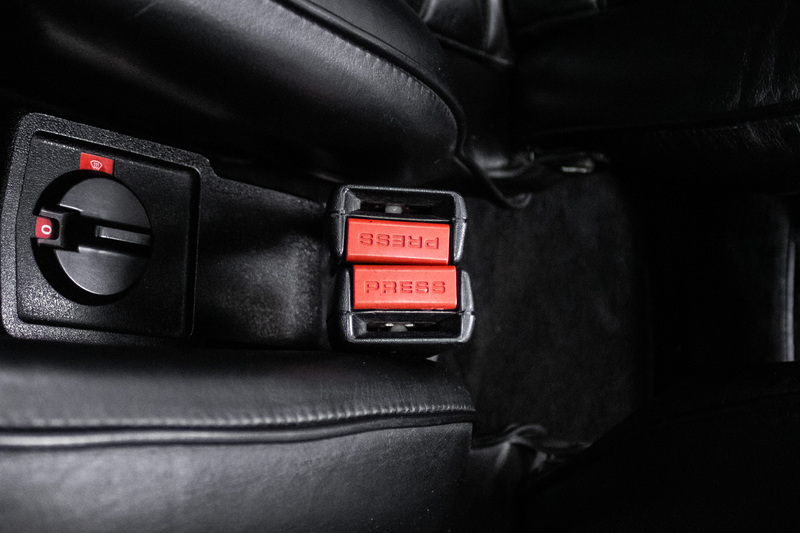 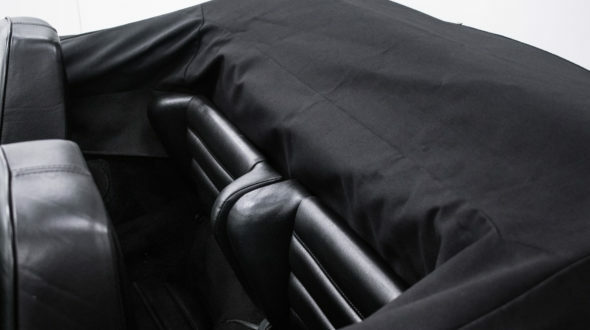 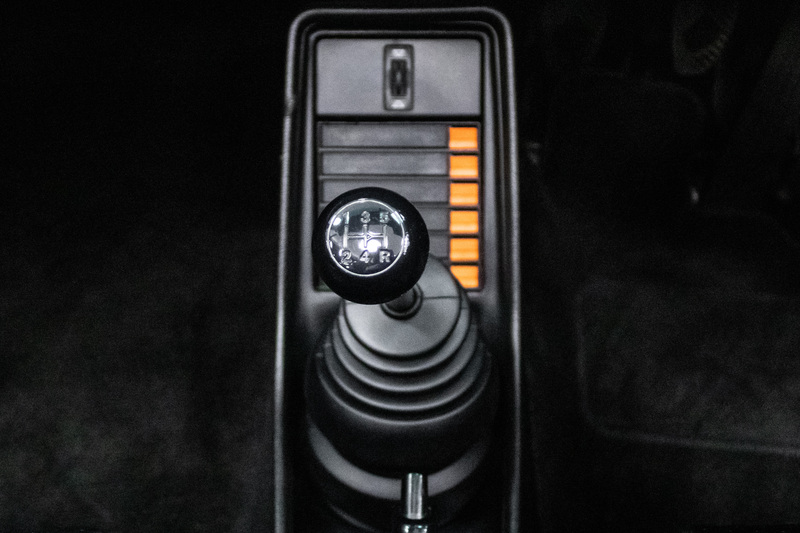 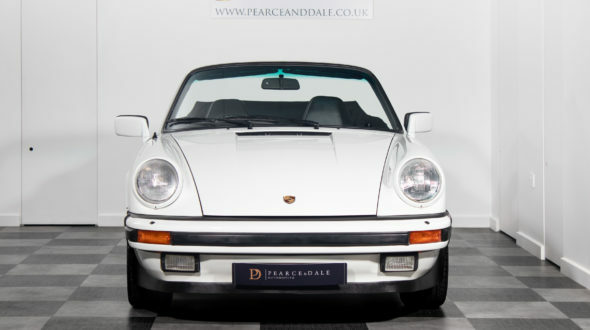 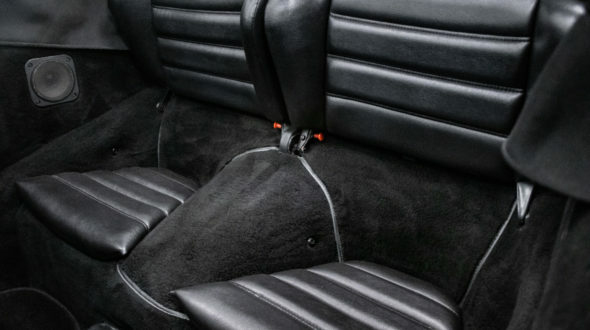 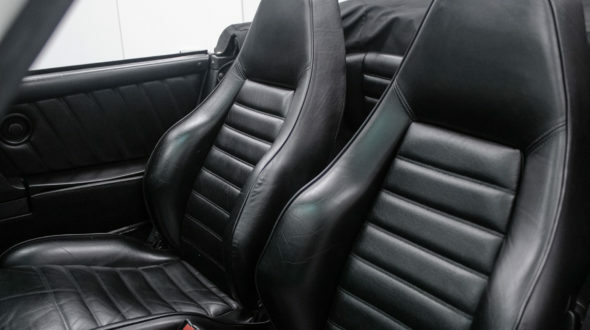 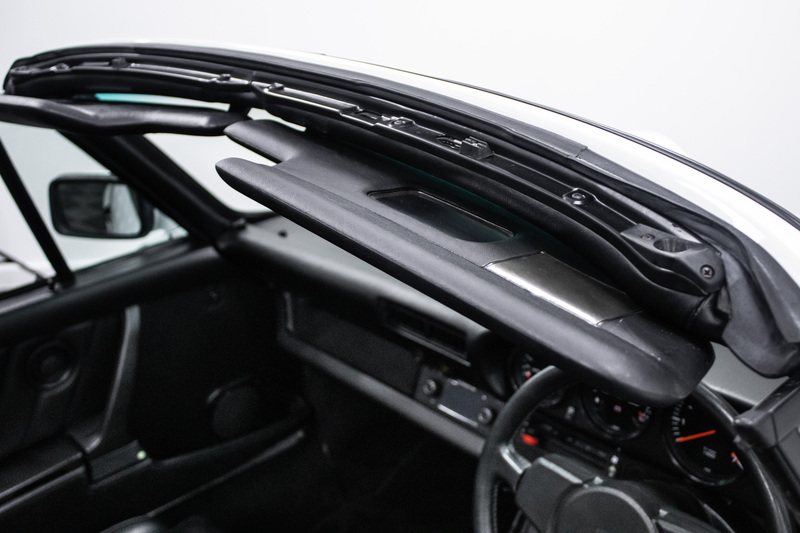 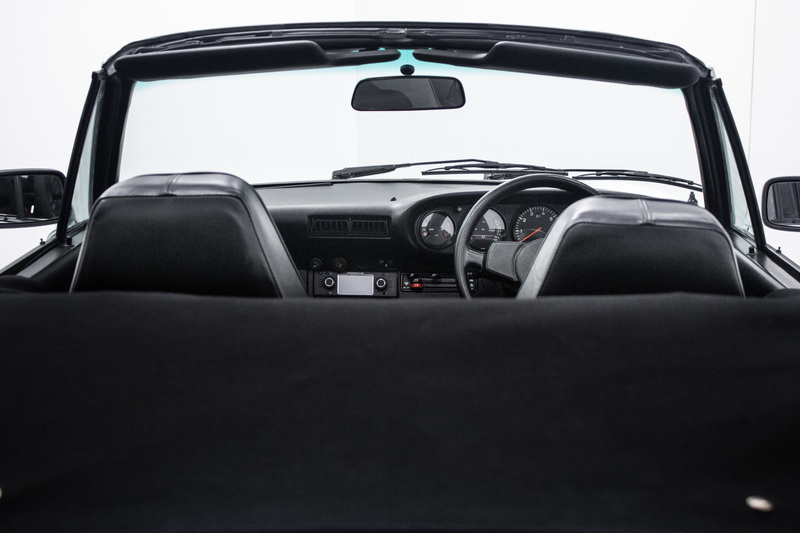 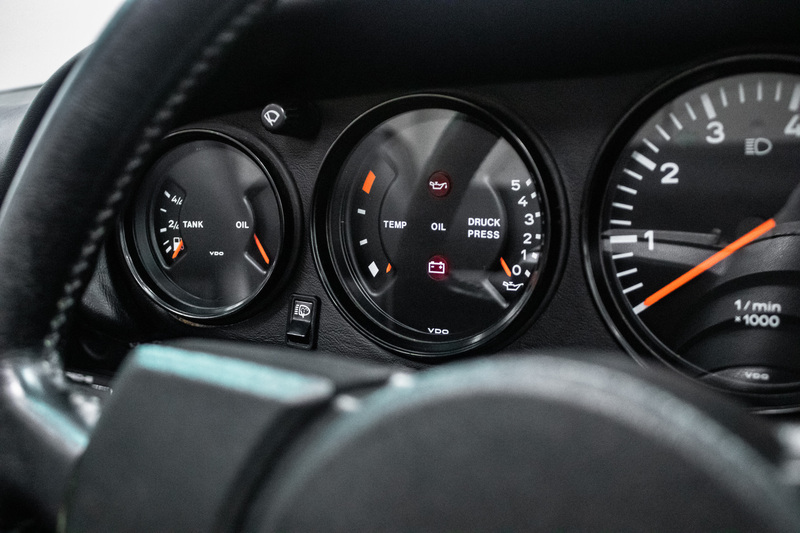 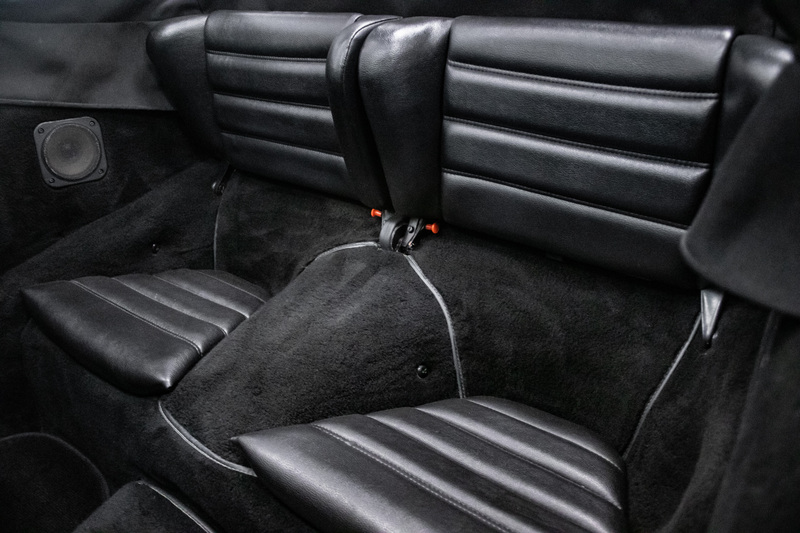 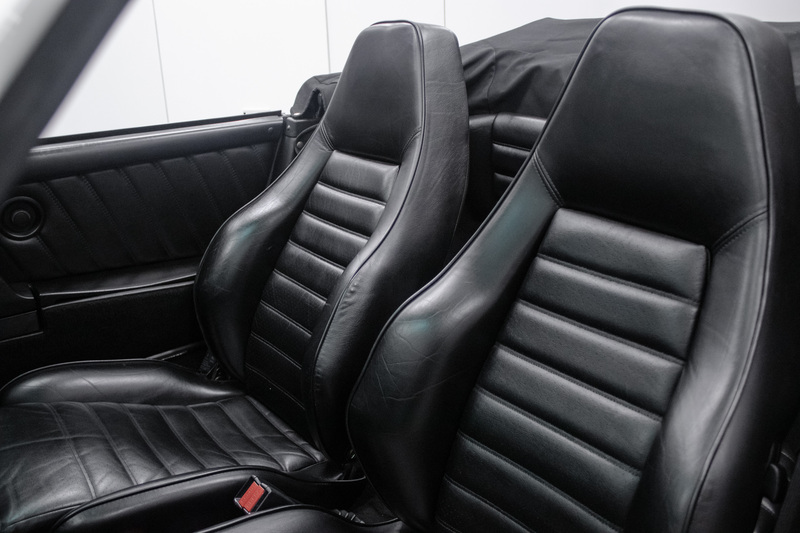 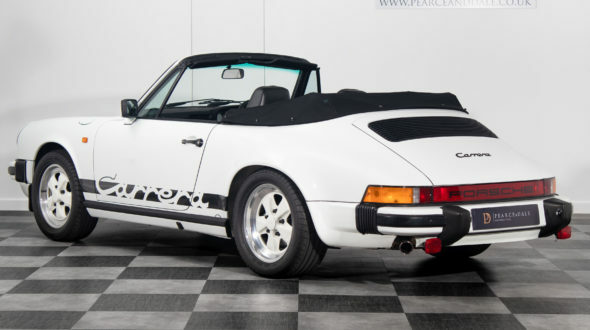 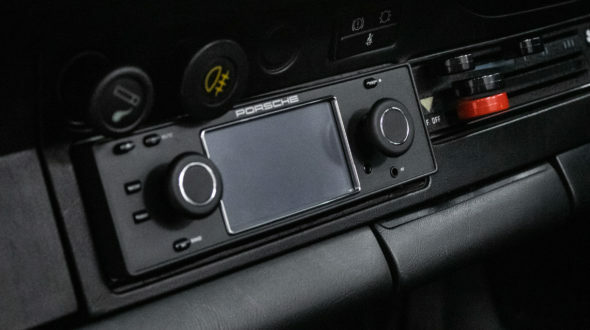 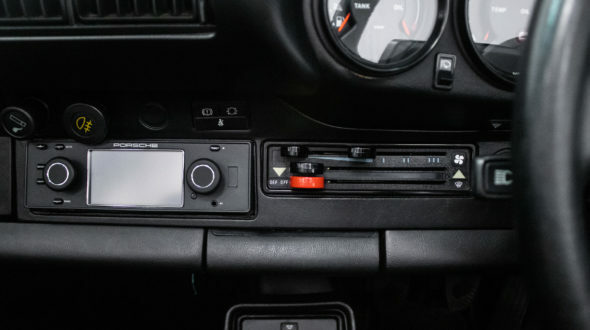 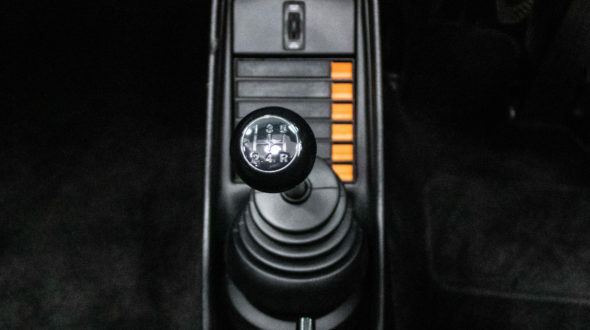 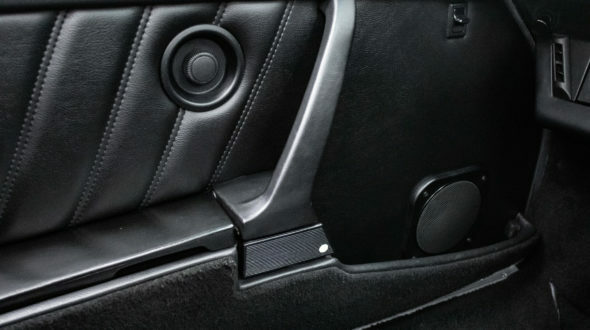 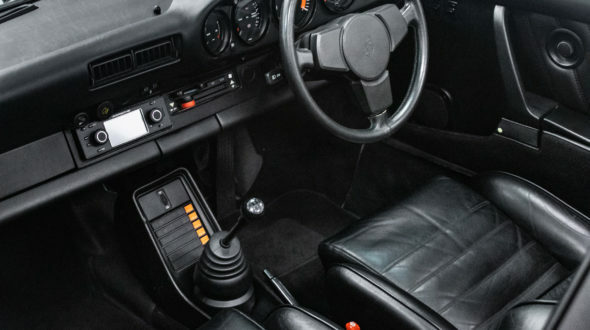 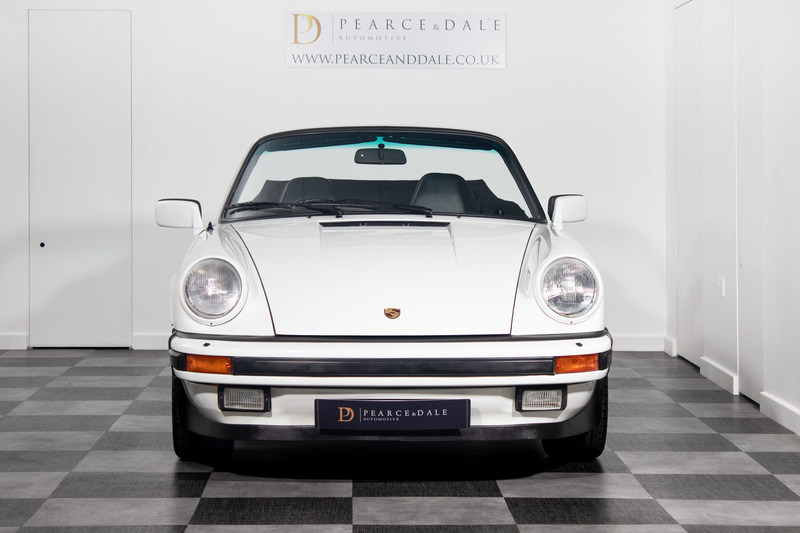 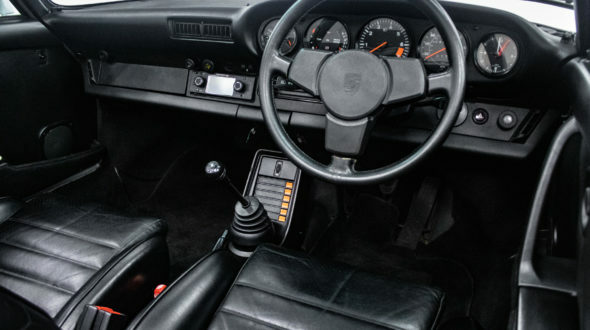 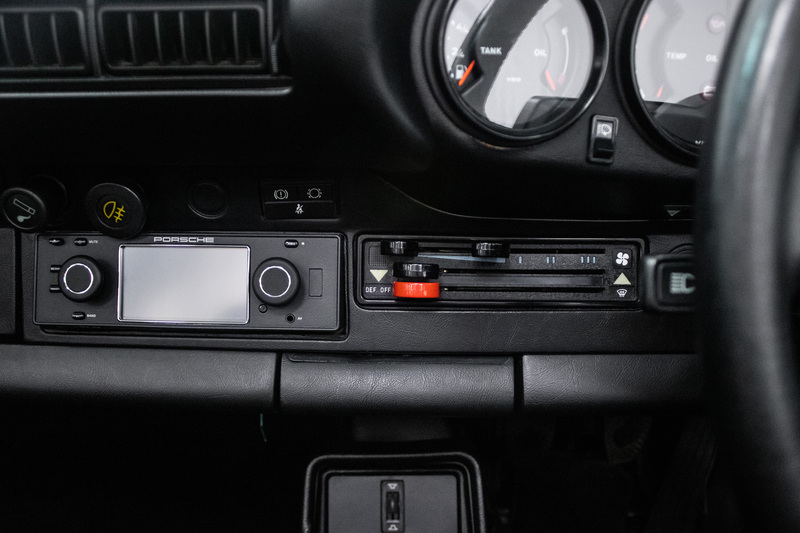 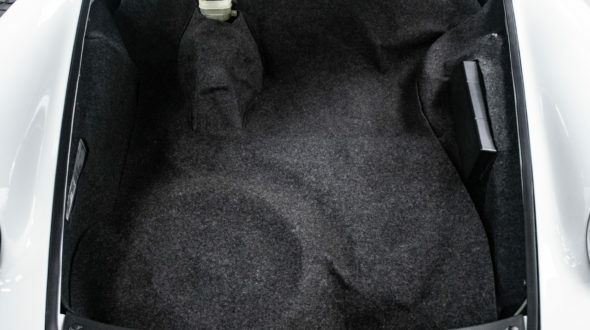 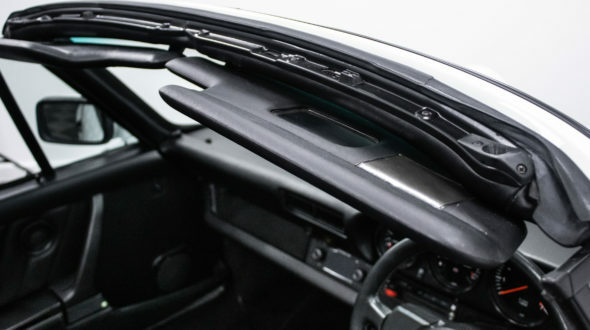 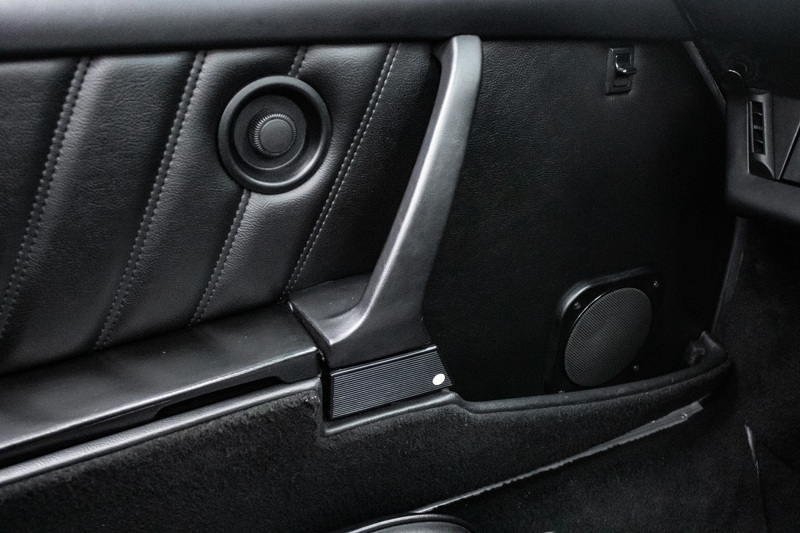 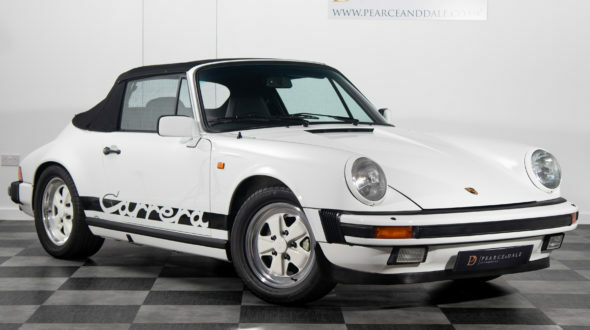 In order to retain originality, and due to the vehicles low mileage, the interior remains completely original with the exception of the addition of the first version of Porsche’s own Radio & Navigation system. 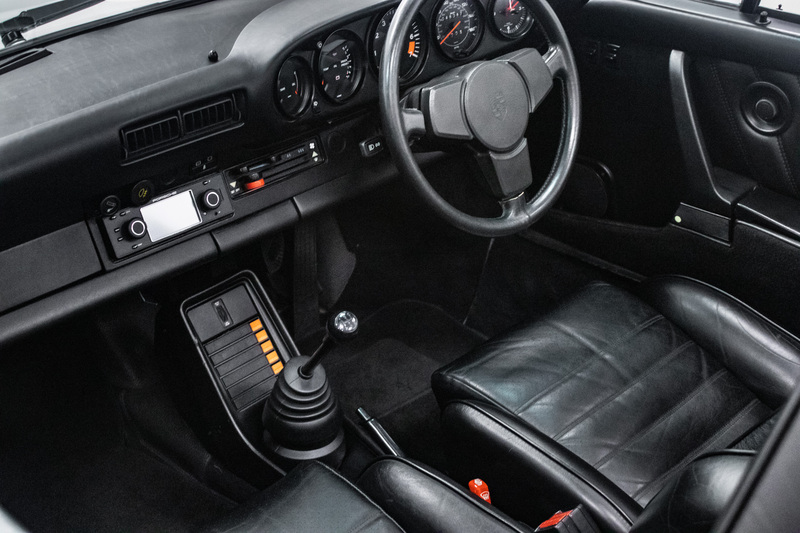 It remains in lovely overall condition in keeping with the car overall, only showing some minor patina in places. 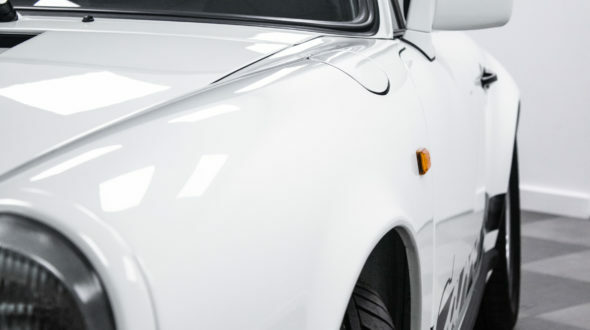 Having covered around 1,000 miles since completion, it remains a spectacular car and must be seen to be believed.